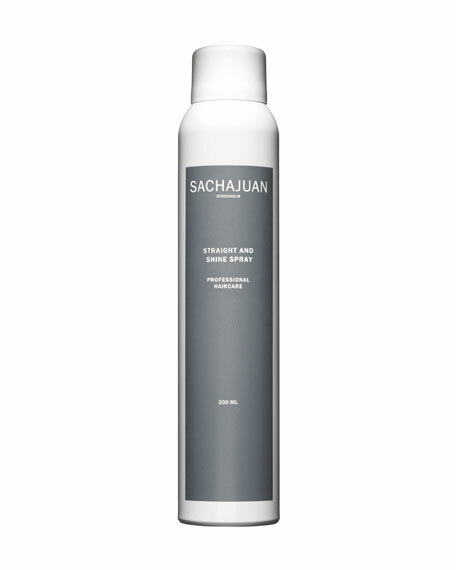 Sachajuan straight and shine spray is a lightweight styling and finishing product creating texture and maximum shine. It is ideal for use with straighteners and protects the hair against heat. The spray is easy to apply and to rinse out. Shake well before use. When used for straightning spray in dry hair. Intensifies shine and smoothness great to be used with hot irons. It's endless summer. This super-luxurious shimmer spray helps revitalize and condition dull, dry skin. Helps tame flyaway hair, reduce frizz and enhance gloss and shine. Lightly scented with the seductive, sun-kissed Bronze Goddess Eau Fra? ?che fragrance. 50 mL/ 1.7 fl. oz.